Munce Racing will take a strong team of horses to this week’s showpiece winter carnival at Grafton, starting with sprinter SNOOPY and talented three-year-old HARD RULER on Ramornie Handicap Day (1200m) tomorrow. SNOOPY tackles the $160,000 Listed Ramornie Handicap (1200m) after a close-up ninth in the Group 3 W J Healy Stakes (1200m) at Doomben on June 23 where he finished less than 2-1/2 lengths behind winner SPRIGHT. 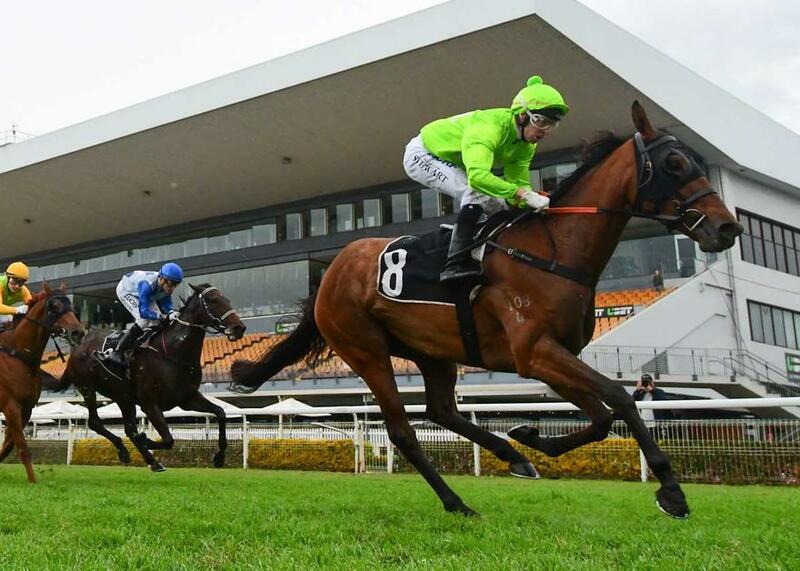 Three-year-old filly HARD RULER will attempt to make it three wins on the trot in the $80,000 Grafton Guineas (1600m) after progressing from an impressive Sunday grade win at the Sunshine Coast to score a dominant 2.25 Length midweek Metropolitan win at Doomben on June 27. The stable also has TEVYE and SOCIAL CONQUEST entered in earlier races on the program. TRAINER COMMENTS: "It looks to be a competitive little race however he certainly deserves to be in the market. He has got a little bit of weight to carry, however, it is only 1100m and its a benchmark 55 so I expect him to roll up on the speed and I’d like to think he’s going to run through the line very strongly." TRAINER COMMENTS: "It looks to be a nice race for him. We’re going into unchartered territory whether he can run the mile or not but he’s had a lot of work and is very fit so I’d expect him to be very competitive in a race like this." TRAINER COMMENTS: "In my opinion she’s certainly well over the odds at the $13 that they are quoting at this point. From the good draw, I’d expect her to be no further back than sixth or seventh and from there it’s a matter of Ronnie Stewart getting onto the back of the right horse at the right time and hopefully she can show her scintillating burst that she’s been showing up here in QLD. I couldn’t be happier with her and she goes into the race with no excuses tomorrow." TRAINER COMMENTS: "He’s finally drawn a nice barrier in gate 4 which is certainly a huge advantage for a horse like him. I’ve also put blinkers on him to get him to focus a bit more as I think he’s been a bit clever in his runs lately. I’d love him to be box seating in the run and if he’s on his A-game he’s certainly going to be in the finish."